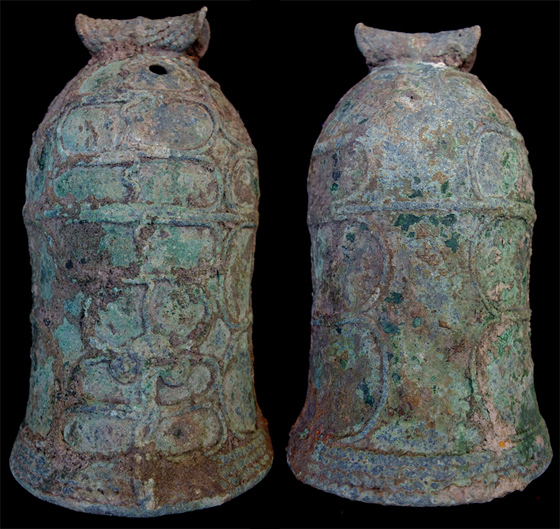 Description: This bell is associated with Dongson-culture drums, therefore tentatively dated second century BCE to the first century CE. Bells of this type have found in Thailand, Cambodia, and Viet Nam. All these objects are decorated with refined, basically geometric motifs, in which broad bands of spirals (sometimes looping vertically, sometimes horizontally).